Rallie McAllister, MD, MPH, and our 150+ Mommy MD Guides are passionate about our mission: We help moms raise healthier, happier families. Integral to our mission is our focus on the importance of keeping kids safe: Moms need to know that they have to put safety paramount—always. 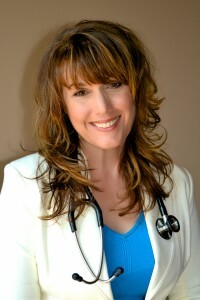 Dr. McAllister and our team of 150+ Mommy MD Guides—doctors who are also mothers—present tremendous credibility, expertise, media savvy, and passion. Women value the opinions of other women, especially other women who are also moms, and even more so other women who are moms and doctors. Mommy MD Guides are experts—squared! We have a proven track record of partnering with companies of all types and sizes to help promote their products. Costs are negotiable and available upon request. Placing your logo or stickers on the covers of our books. Pop-up booths, media tours, and more!